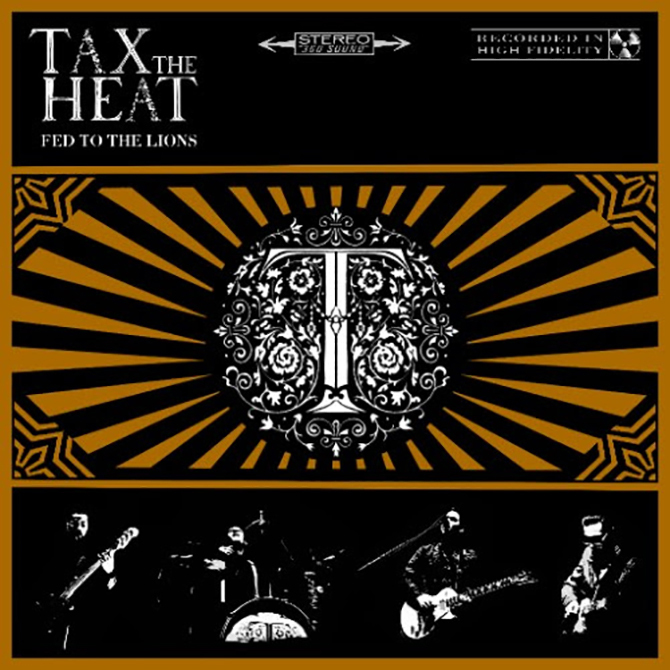 Fed To The Lions is the debut album from Bristol quartet Tax The Heat and as debut albums go it's an absolute barnstormer. This isn't a band still in search of their sound as many initial efforts can be, but rather a highly polished effort showcasing a real identity. A bed of hard rock riffs and 60's R&B swagger gives the foursome a hearty base from which to launch their songs. And what songs they are. The singles Highway Home and Animals kick things off with aplomb, giving a strong indication of what to expect – ballsy guitars and big choruses – without giving too much away about what's in store further down the line. 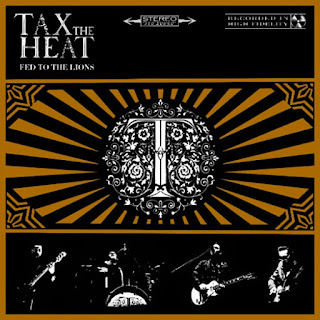 Whilst ostensibly 'blues rock' the glossy production and Alex Veale's thoroughly modern delivery of the vocals ensure that Tax The Heat are miles away from your bog-standard classic rock band. Though there's still some blistering lead runs by Veale that will keep that audience more than happy, there are moments when indie flavours seep through to compliment the overall hard rock vibe. Three tracks from the band's 2013 EP are reproduced here including the song for which this album is named. Any other track following the Wolfmother meets QOTSA Under Watchful Eye would sound tame by comparison but the massive guitar sound, furious drumming and stop start vocals make it one of this writer's favourites on the album. The true stand out track though arrives at the mid-point in the shape of Some Sympathy. Appearances at Download, Calling Festival and others, as well as arena shows alongside the likes of Thunder cry out for some sort of anthem and Tax The Heat could have a stone cold classic on their hands right out of the gate. With a huge sing-a-long chorus and simple, one-two punch riff, it's no wonder they were able to win over those sorts of crowds. The album rattles along at a good pace, the quartet eschewing ballades and opting to keep the riffs coming right up until the climactic Lost Our Way, a real showcase of the musicianship these lads possess. A guitar god opening, giving way to a melodious chorus demonstrating a command of light and shade, it's a massive closing track that is just begging to be given an extended workout live. All in all, few freshmen efforts can claim to be as polished and self-assured as Fed To The Lions. If their career trajectory is any indication, off the back of this record, Tax The Heat are poised for big things. Why Vote Leave - Part 2: The Economic Argument. David Cameron and the Tax Haven of Panama.